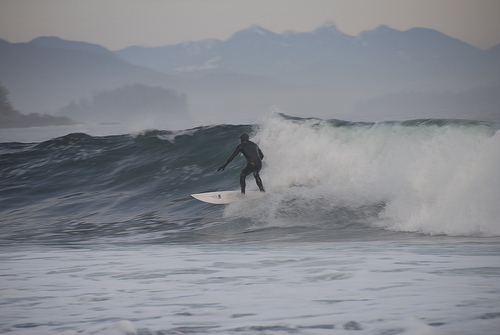 If Tofino was a superhero, Ucluelet would be its trusty sidekick – the one that does all the heavy lifting without taking much credit. 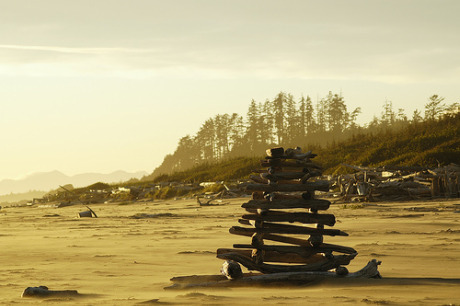 While Tofino is beautiful in its own right, on the opposite stretch of sand that is the Pacific Rim National Park lies the sleepy town of Ucluelet – affectionately known as “Ukie” by Islanders. 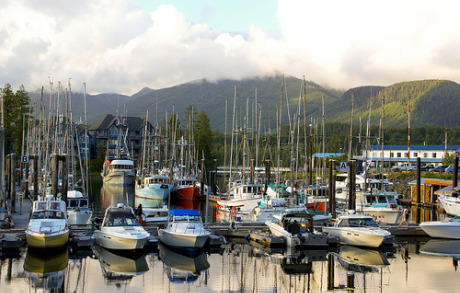 Slightly more than 100 kilometres west of Port Alberni on Highway 4, Ucluelet is the district municipality you’ll find if you steer south at the West Coast junction. 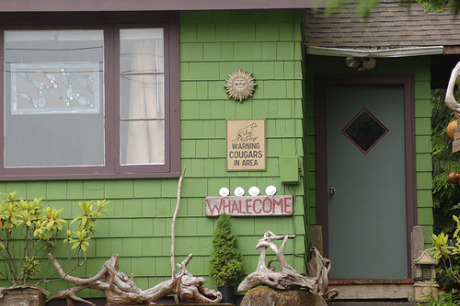 Home to a tight-knit population of less than 2,000, this much less discovered community boasts more than a few unique bragging rights. 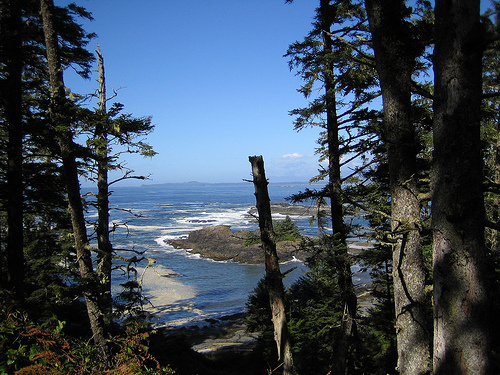 While it’s thought that First Nations inhabited the West Coast of Vancouver Island for more than 4,300 years, Ucluelet wasn’t discovered by European explorers until 1787 when Charles William Barkley (the explorer that Barkley Sound was named for) arrived in search of pelts. 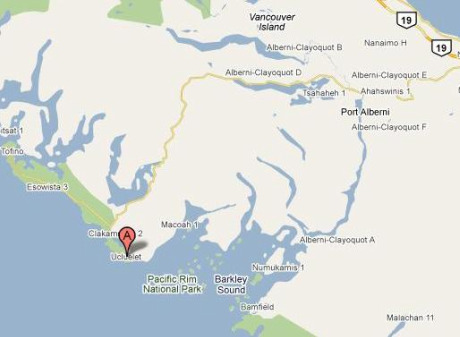 Settlement was extremely slow in the area and nearly 100 years passed before Ucluelet was established as a trading post. 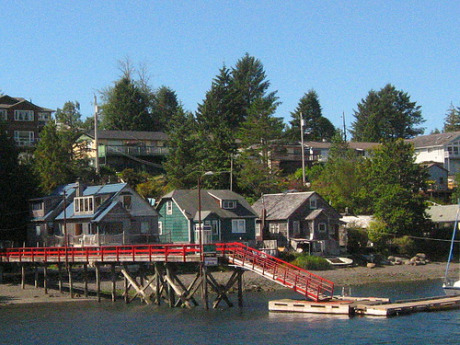 Ucluelet would have to wait another 100 years before infrastructure such as churches and schools began to spring up. 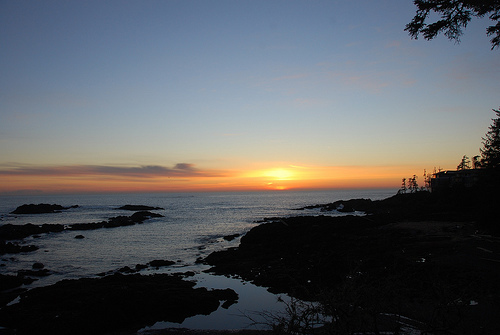 Ucluelet’s culture is largely governed by the presence of the Yu-cluth-aht tribe, meaning “people of the safe landing place” or “people of the safe harbour”. 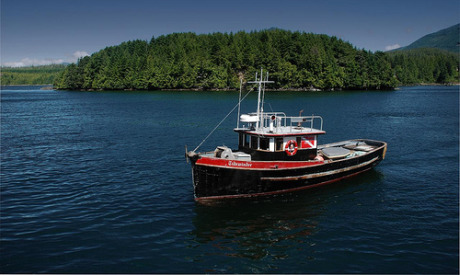 The historical roots of Ucluelet dictate that the area has relied heavily on the fishing and logging industries to stay financially afloat. The same is true of the town’s population today, as most of its proudly hardworking residents deem these industries essential for survival. 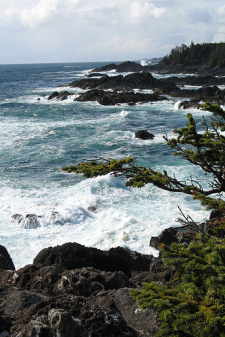 Mother Nature is wild and unpredictable and this is especially recognized by residents of Ucluelet. Treated to an annual storm season, the thrashing ocean is both a sight to behold and a volatile force waiting to be unleashed. 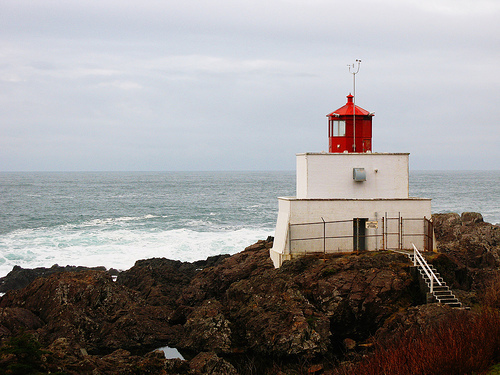 As such, Ucluelet is home to both the Amphitrite Lighthouse and acts as a key base for the Canadian Coast Guard. This community’s beauty is found not only in its natural expanses, but also in the charm and humour lining quiet streets and safe harbours. 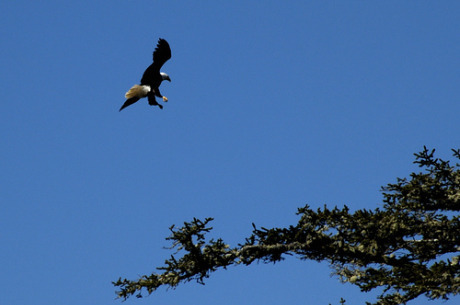 Ucluelet is also the home of furry and feathered dwellers including deer, whales, bald eagles, black bears, seals, sea lions, cougars and ocean-loving birds. 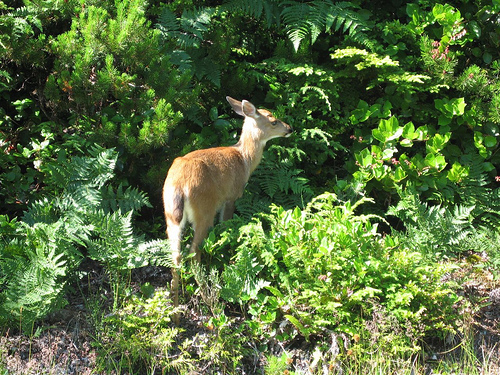 Controversy brewed last summer after CBC News reported that the BC Environment Ministry was concerned over the welfare of a black-tailed deer named Bimbo that had been living with a Ucluelet woman as her pet for five years. The woman was ordered to release the deer or turn it over to a rehabilitation centre. 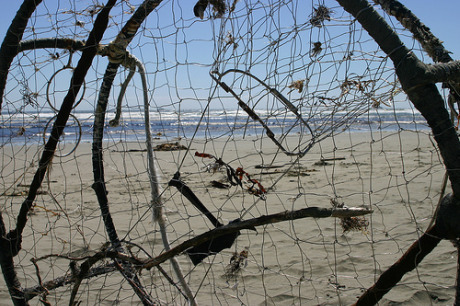 Those interested in a more in-depth look at the creatures of the local sea can visit the Ucluelet Aquarium [website] near the government dock on the waterfront. 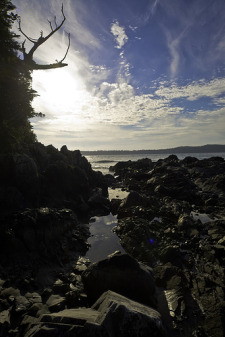 With its pristine beaches, jaggedly striking escarpments and toasty sunshine, it’s no surprise that tourism is rapidly becoming a vital component to Ucluelet. 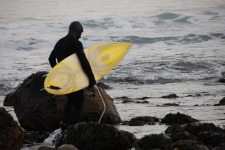 Visitors can occupy their time with any number of activities, not limited to hiking, surfing, fine dining, beachcombing, kayaking, fishing, relaxing at the spa and wildlife watching. Golf fanatics will be in seventh heaven as a Jack Niklaus Signature Golf Course is being developed – albeit controversially – to cover 220 acres at Wyndansea on the north end of town. A lot of people tend to gently tease me for my ceaseless love for any and all things Vancouver Island, but it doesn’t take a genius to figure out why it causes my heart to skip a beat. 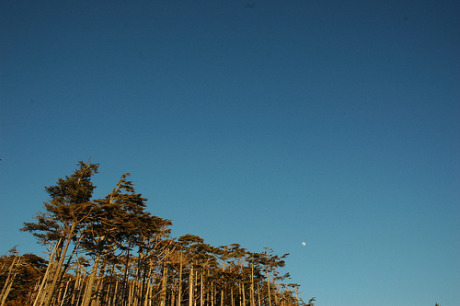 The extraordinary beauty is simply breathtaking and the sense of tranquility is inescapable. The air really is different on the other side of the Georgia Strait. 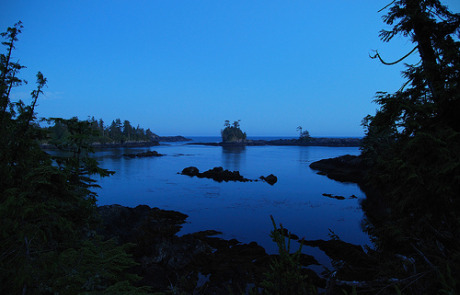 For more information on visiting this quaint jewel of the West Coast, please visit the Ucluelet Chamber of Commerce [website]. What a beautiful set of photos you found on Flickr!